Bright yellow pea flowers grow scattered and in mounds. 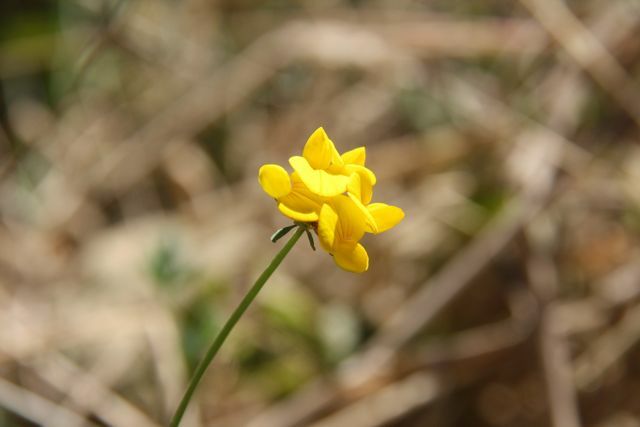 Narrowleaf trefoil (Lotus tenuis) is an oft-overlooked plant, common to roadsides and meadows. A native to Europe, it escaped from cultivation and is now a common sight in Marin. Several blooms grow clustered together at the end of low, sprawling branches that are largely leafless. 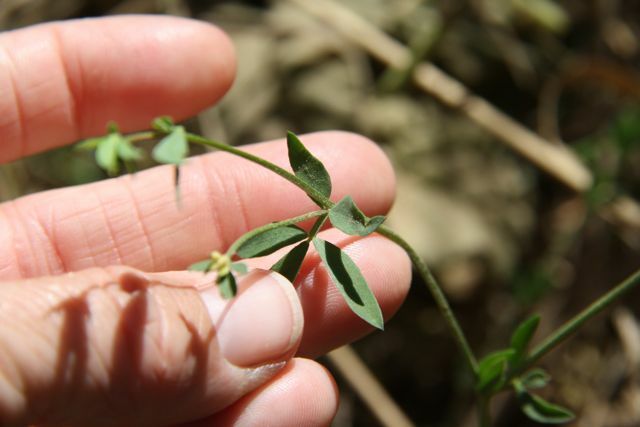 Leaves consist of five leaflets, which can sometimes look like only three since the lowest two grow very close to the stem. 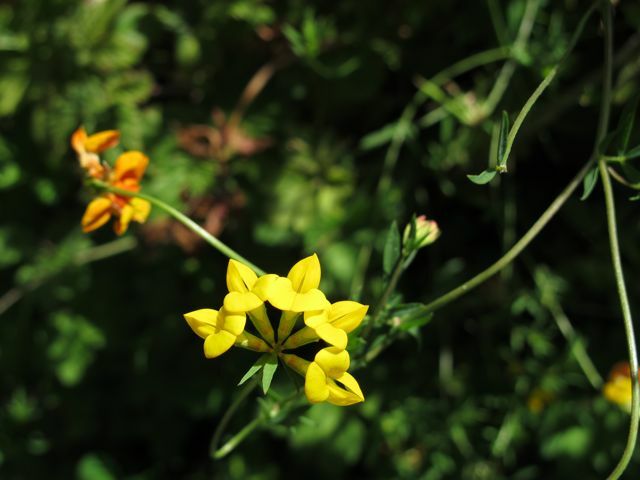 Narrowleaf trefoil is common across most of California and much of the US, particularly on both the east and west coast.